Steiner education is state-funded in many European countries and in four schools in England under the Academy and Free School systems. However, as we do not offer the National Curriculum, we are unfortunately unable to secure state funding in Wales. As a result we have to charge fees. It is our policy to be as socially inclusive as possible whilst being self-funded, therefore we keep fees as low as we can in order to minimise the financial barrier to attending. We also offer a robust and well taken up Bursary Scheme to help families, who could not otherwise a place at the School. For these reasons fundraising is fundamental to the School’s existence and our families, teachers and friends run regular fundraising events throughout the year, including our annual Christmas and Summer fairs, School Shop and Craft Group. If you shop online then please use the links below and we’ll automatically get a %age of what you spend at no cost to you, and you can still login to all your usual account settings as normal. Think online shopping , think Cardiff Steiner webshop! 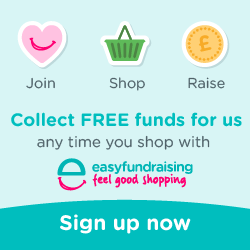 Sign up to easyfundraising and use it to shop online at over 2,500 retailers and we’ll earn a %age of what you spend at no cost to you. Happy shopping and thanks for your support.